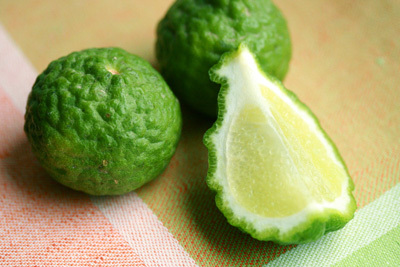 Kaffir lime has a bumpy, rippled skin that smells like a cross between lemongrass and lime. It gives Thai curries their pungent tang and Tom Yum soup the crowning touch of fragrance that makes this traditional soup so special. It’s the secret to my spicy lime mayo that I serve with my chipotle orange shrimp and a delight for anyone who appreciates the heat, depth, and tang that chilies bring to the meal.